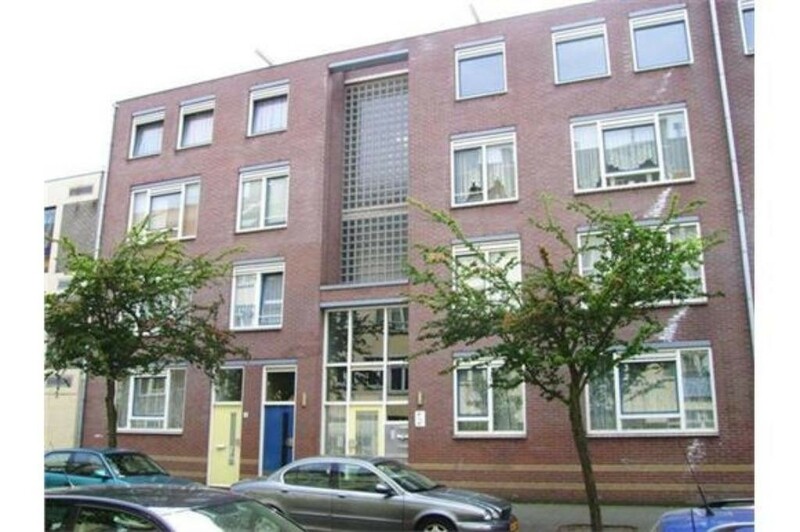 Address: Ben Viljoenstraat 4-D, 1091 XT Amsterdam (East), Transvaalbuurt suburb. 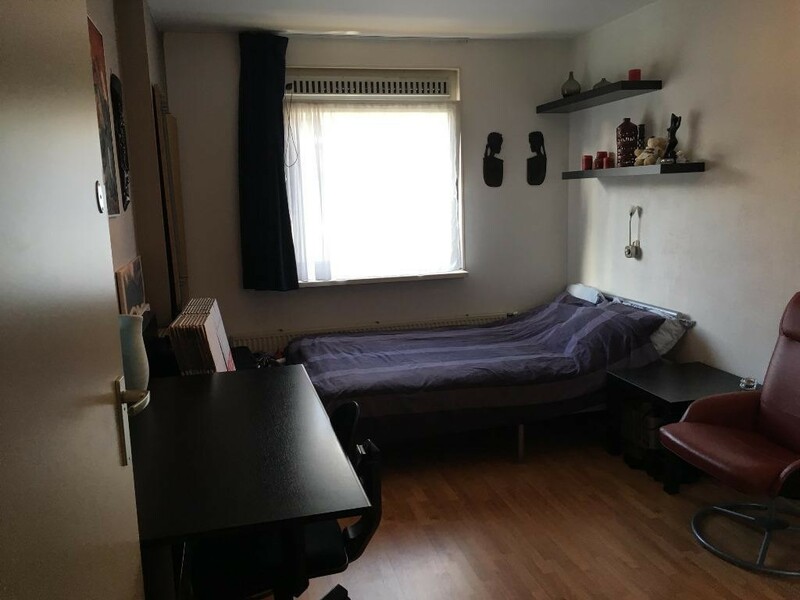 €920 per month, available July1st, 2018. Type: Apartment 4th floor (top floor). 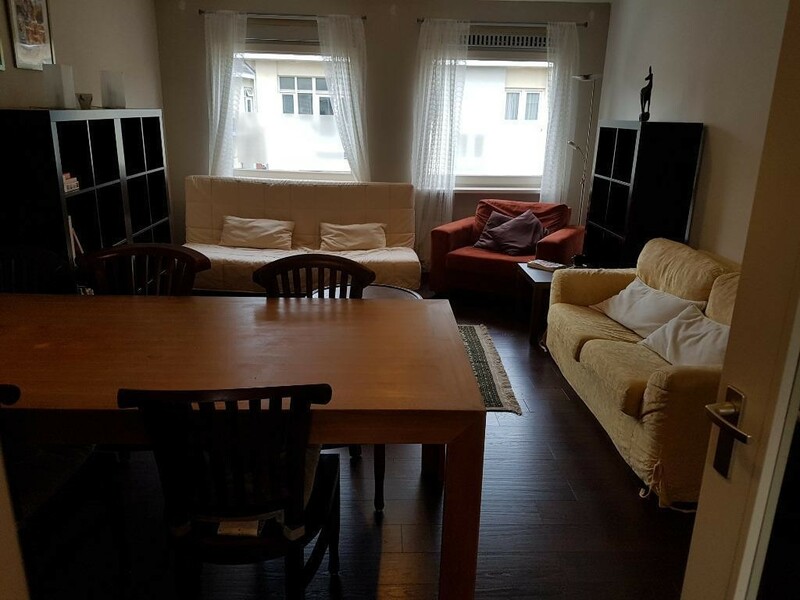 Rooms: 3 rooms - 2 bedrooms 1 BEDROOM for 1-2 PERSONS AVAILABLE for RENT. 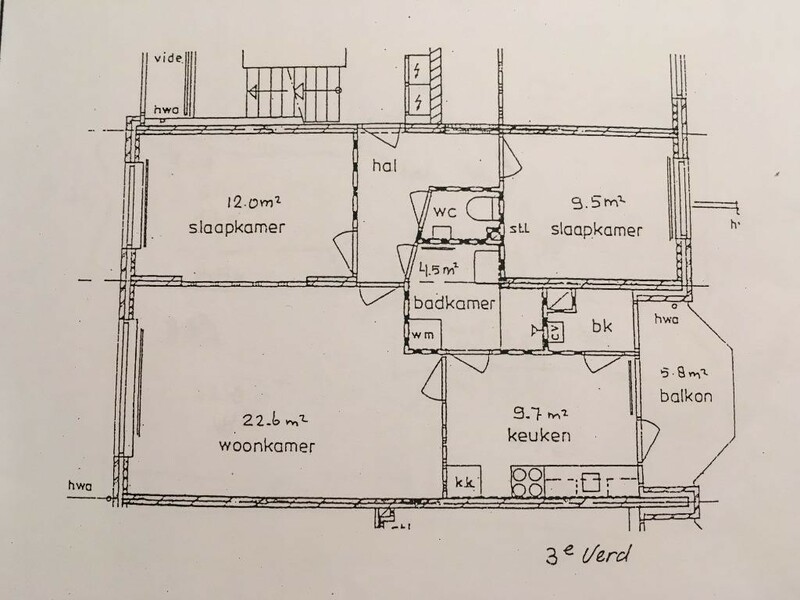 Specifics: Balcony, ground floor storage/bikes room, green energy label (B). Furnished: Fully furnished & equipped. 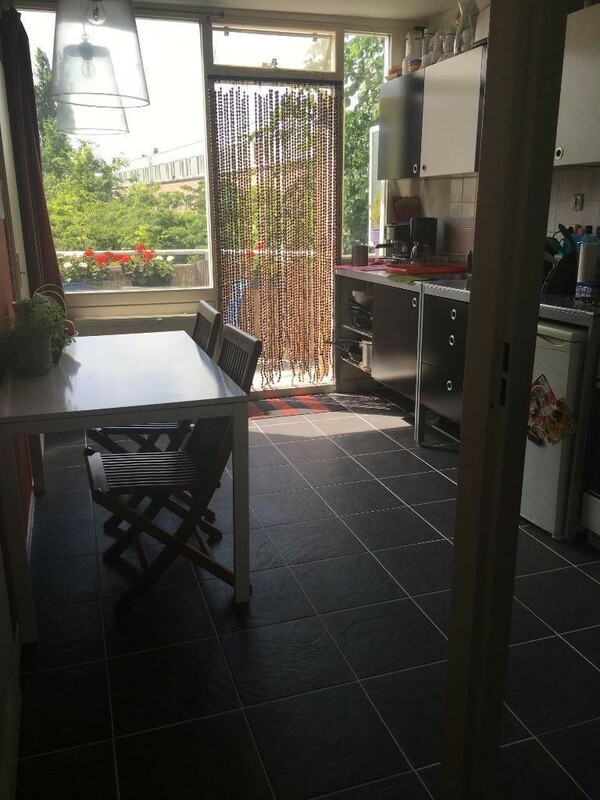 This fully equipped, well maintained & renovated 2-bedroom apartment is, especially for expats, a great opportunity to live in a great part of Amsterdam. 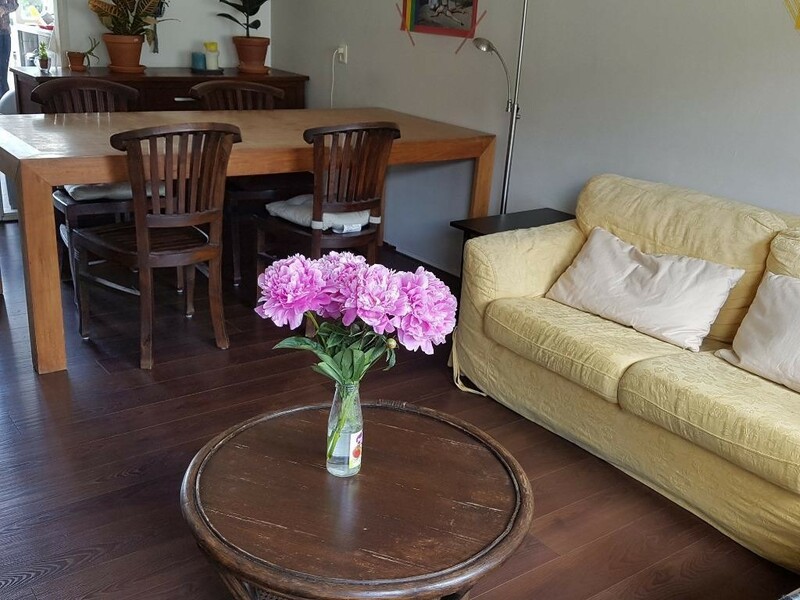 Within a few walking minutes you can find the beautiful park Oosterpark, the Amstel canal, many shops and cafes. 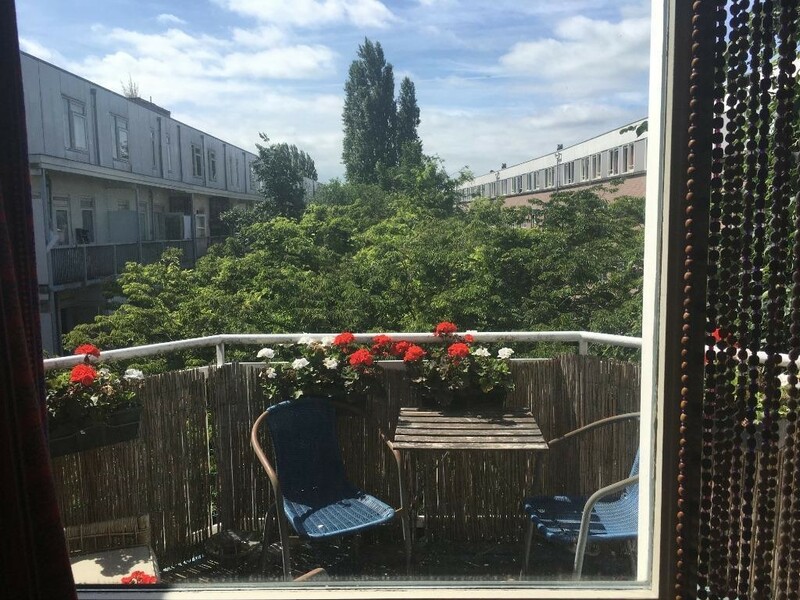 Public transport is easily accessible (the metro-station Wibautstraat is around the corner and the train station Amsterdam Amstel is some 2 blocks further) and a few major highways are just minutes away (A1, A2, A9, A10). Thanks to many new hospitality & going-out developments Amsterdam Oost is the new place to be for great coffee, lunch, dinner and drinks! 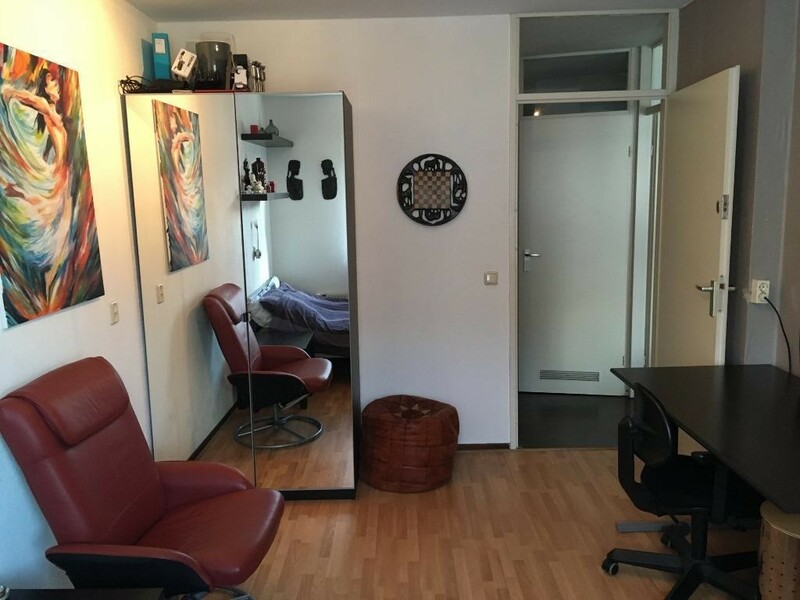 The apartment includes two bedrooms (12m2 and 9.5m2) of which the back-side one is for rent, while the other bedroom is used by a pleasant & tidy couple of graduate students from Netherlands/Poland. The apartment contains, for shared use, a spacious living room (22.6m2), bathroom (with a shower-cabin), separate toilet, partly equipped kitchen with a new tiles-floor, storeroom connected to the kitchen, a sunny south-facing balcony (5.8m2) towards the green courtyard and a private bicycles/storage room on the ground floor. The house is situated in a quiet street in a residential area. Parking permits can be obtained within 24h, without a waiting period. Paid parking 9:00-21:00; free on Sundays. A helpful, internationally oriented landlord will willingly support your requests for additional furnishing, equipment, small renovations, etc. Warm water: Central heating boiler. Free, unlimited hi-speed internet (100mbps router incl. wifi).